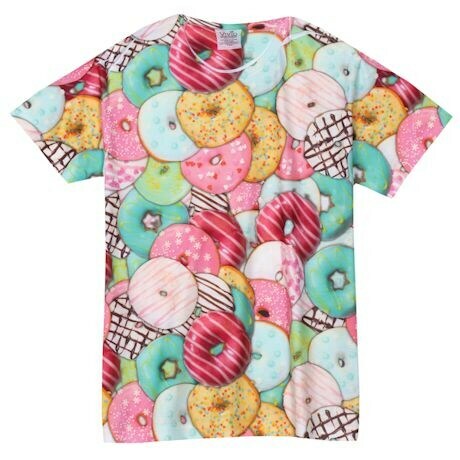 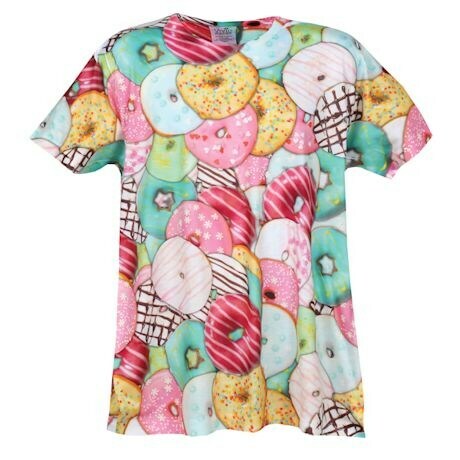 Shirts completely covered with donuts- so that you don't have to worry if you're a messy eater and spill all over the front. 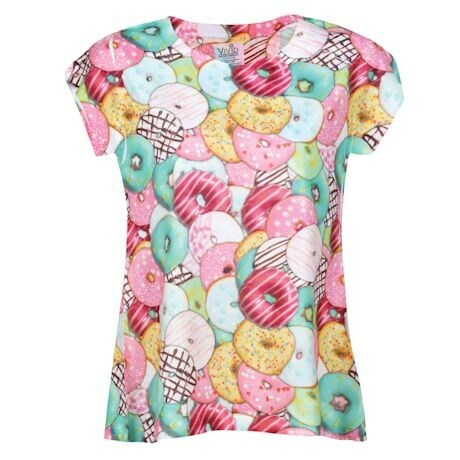 Soft shirts with realistic printing are made of polyester. Imported. 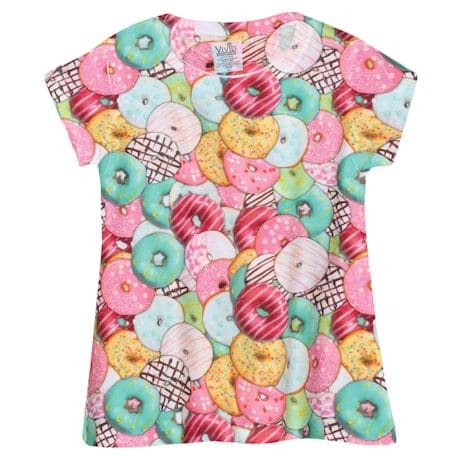 Available in men's or women's sizes M-XXL.